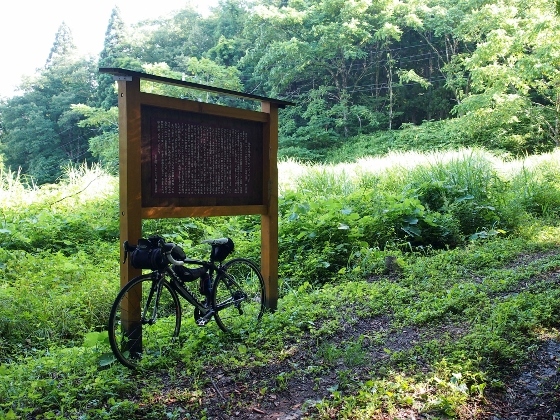 A famous Japanese entomologist, Hiroshi Makihara, who is particularly known as a world specialist on longhorn beetles, instructed us watching insects in a beech wood of Yanatori District, Tadami Town. 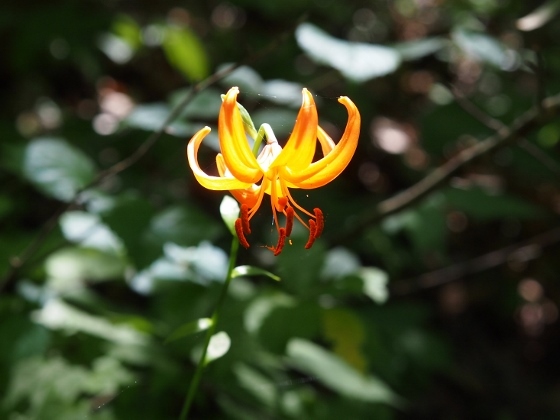 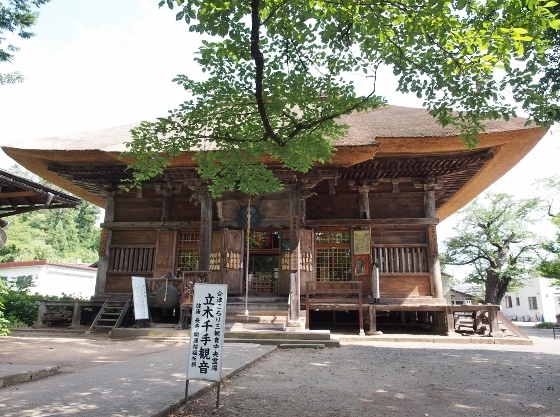 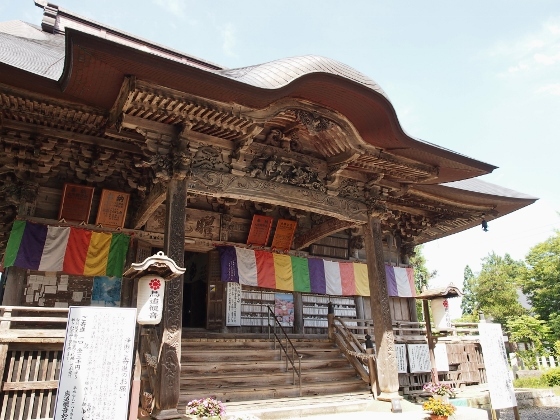 The event was promoted by Buna (=beech) Center Museum of the town. 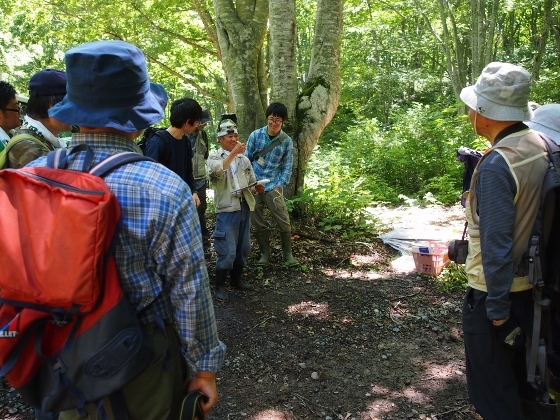 A photo above shows a scene where Mr. Makihara (a man in his white jacket) is identifying exact species of the insects observed. 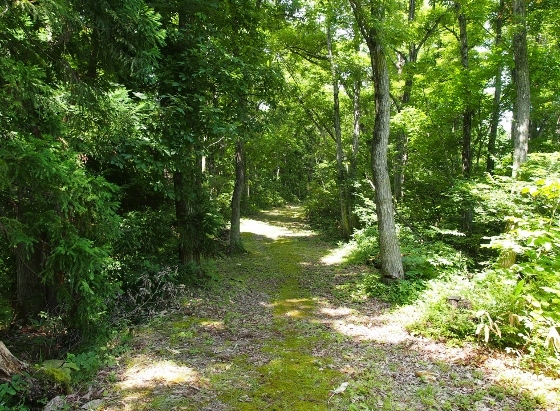 This is an entrance into a trail of Yanatori Beech Wood. 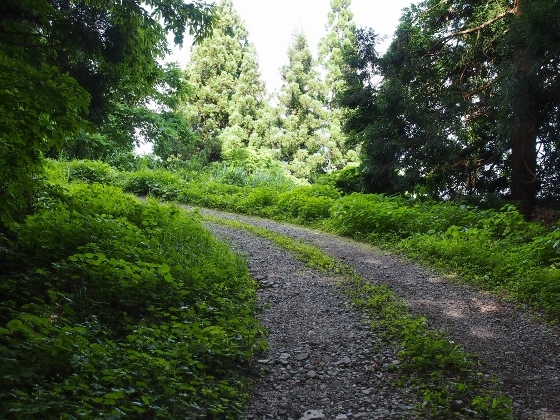 The altitude was about 700m above sea level. 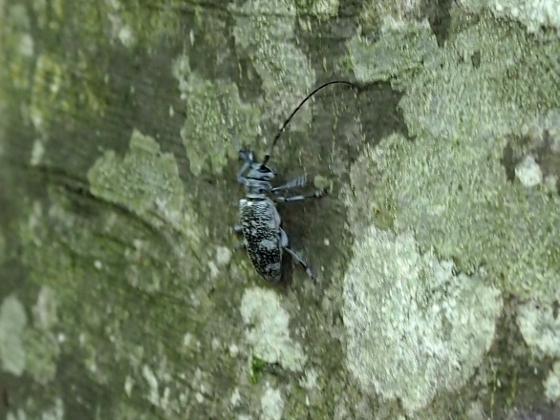 Photo above shows a rare kind of longhorn beetle named Dolichopurosopus yokoyamai found today. 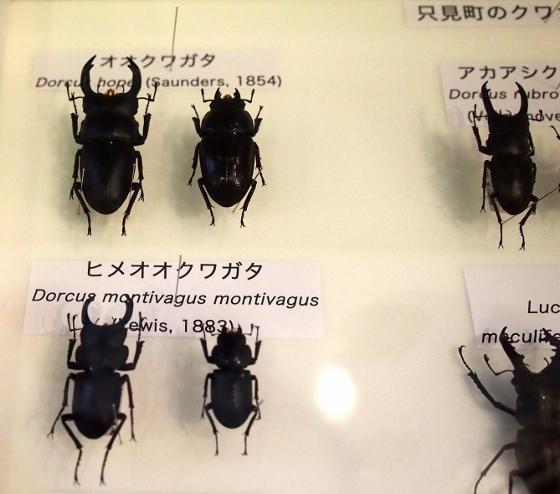 We also found many other kinds of insects including three species of stag beetles (Dorcus). 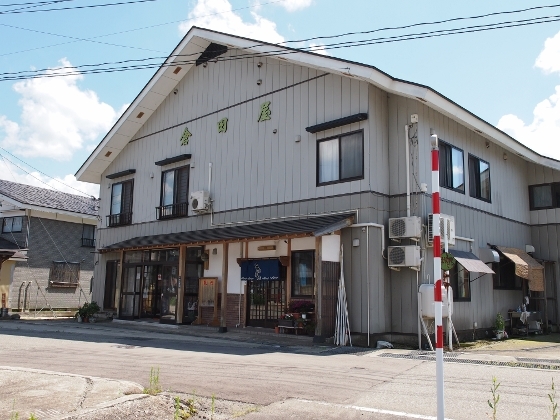 At Buna Center Museum, an exhibit focused on insects in Tadami Town is now being held. 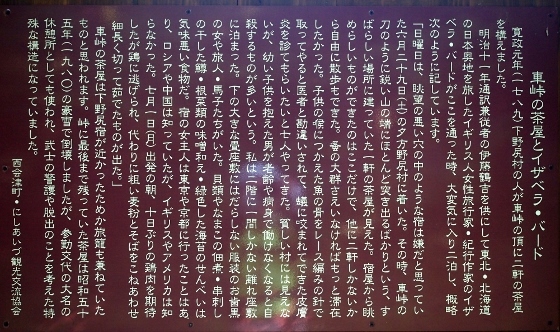 Photo above shows one of many displays of insect specimens. 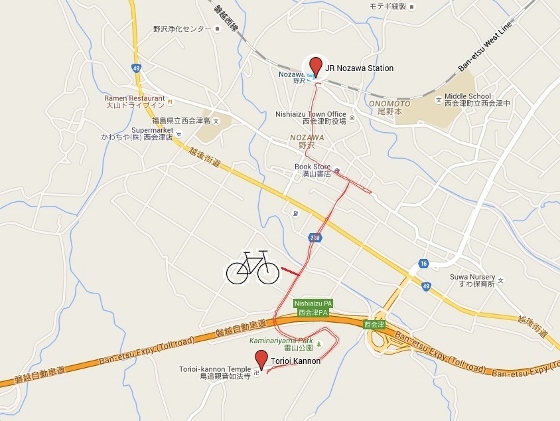 The museum is located 10-minute walk from JR Tadami Station. 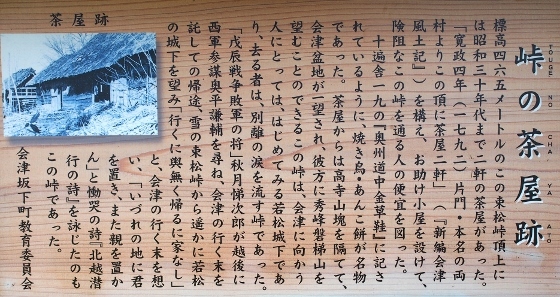 The exhibit continues until 10th of October. 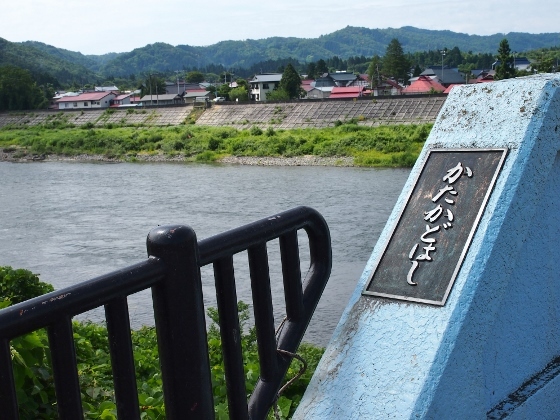 After the event, on my way back to Tadami Station with a rental bike, I happened to find a museum officially called Aizu Tadami Ancient History Hall. 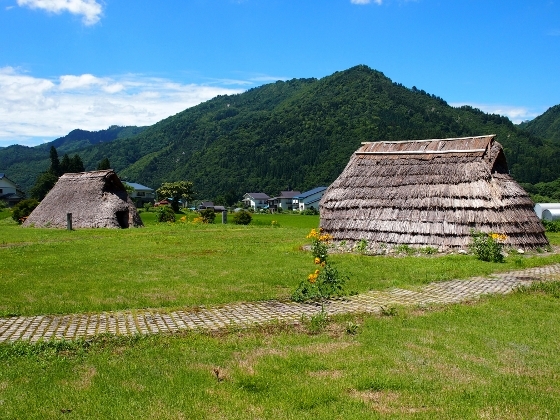 The museum mainly features remains and restored dwellings of Jomon Period, some 4000 to 2000 years ago. 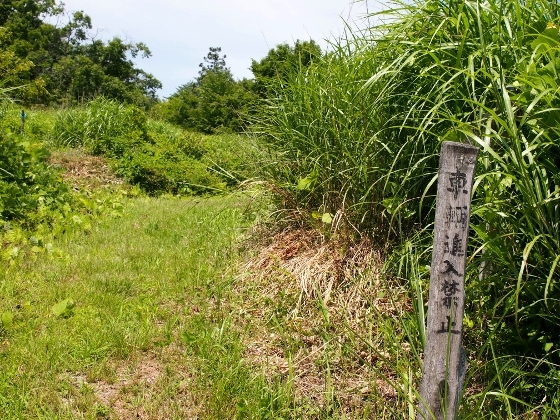 Photos above show description board, and recovered Jomon pit dwellings in the front yard. 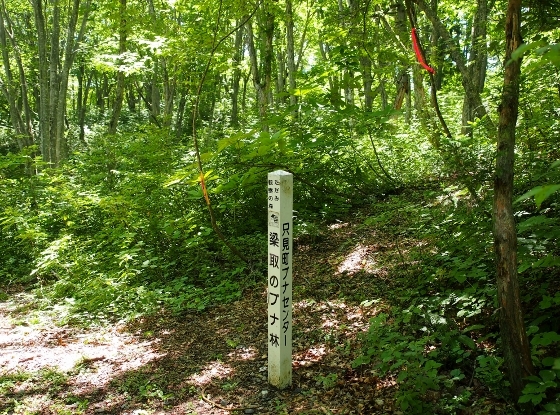 In the museum building, many artifacts found at Kubota Remains are displayed. 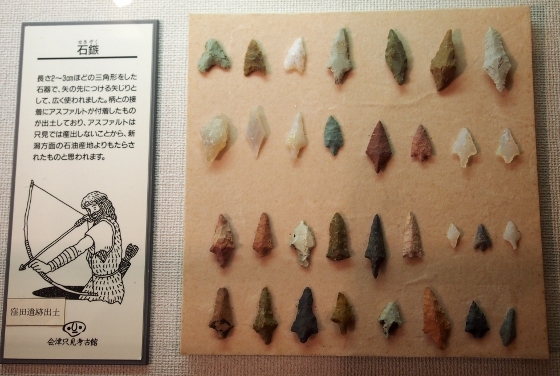 Photo above shows collection of ancient arrowheads made of stones. 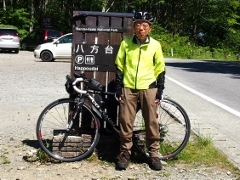 The day before the watching event, Mr. Makihara gave us a lecture on insects found in Tadami Town, based on a field research in the town over the past two years. 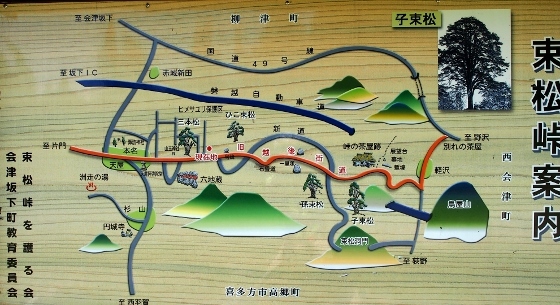 I stayed overnight at an inn located in the suburb of the town half way toward the watching site. 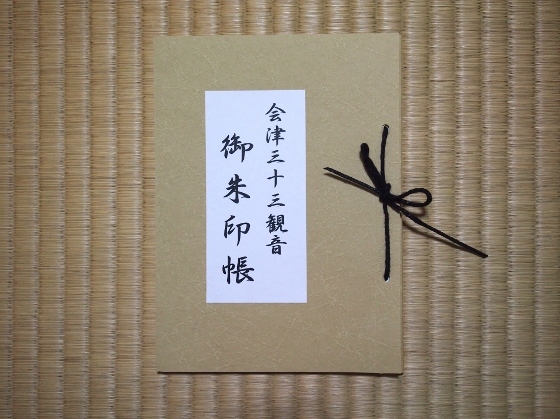 The inn was called Kurataya Ryokan as shown above, which was nice with excellent meals and modern facilities for bath, toilet and others, and with very reasonable charge. 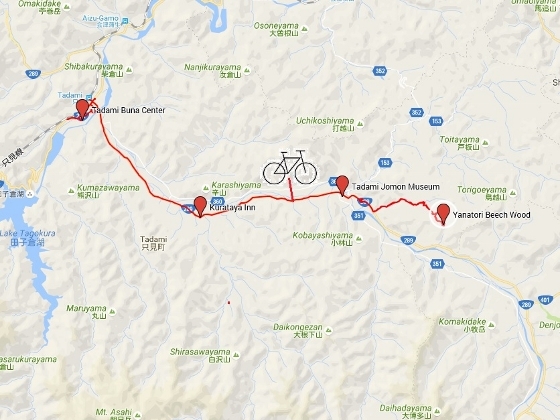 When I travel to Tadami Town, I either take a train to JR Tadami Station or ride a bike all the way from Koriyama. 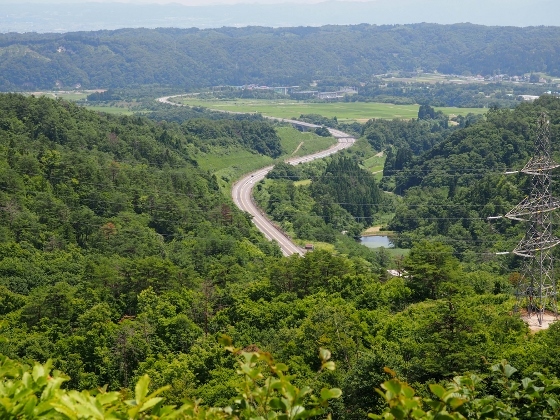 This time I took Tadami Line train, which has been disrupted between Aizukawaguchi and Tadami Station since devastating flood disaster in 2011. 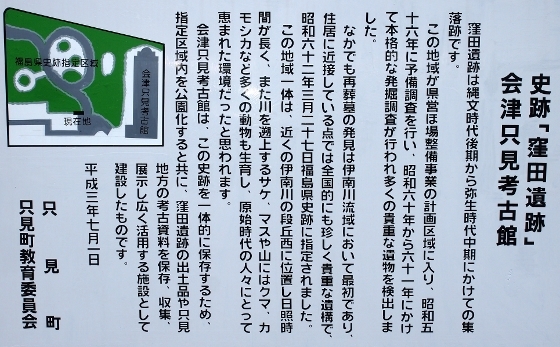 But a back-up shuttle bus service is regularly being operated between the two stations until the train is finally resumed. 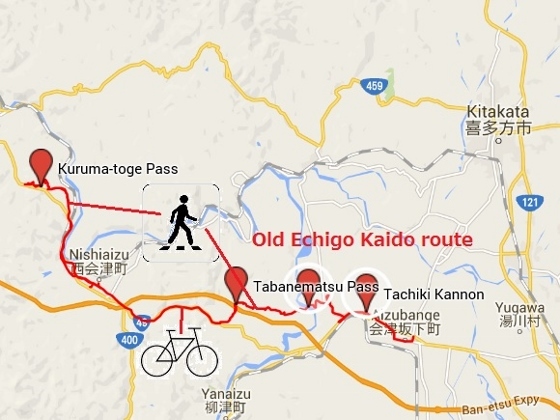 So I have to leave the train at Aizukawaguchi Station and change to the bus. 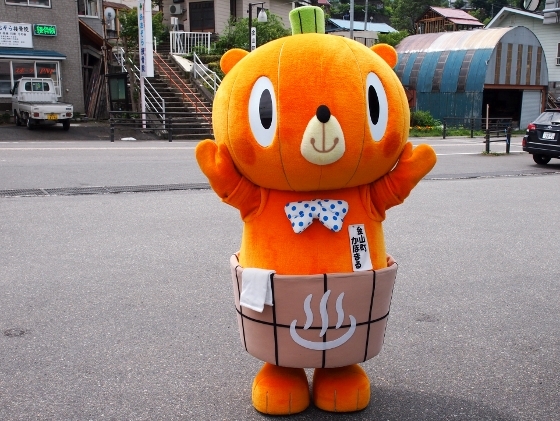 Photo above shows a character of Kaneyama Town, featuring a pumpkin and hot spring, welcoming us during the transfer.